There is no better way to get around town than on a Fixie! 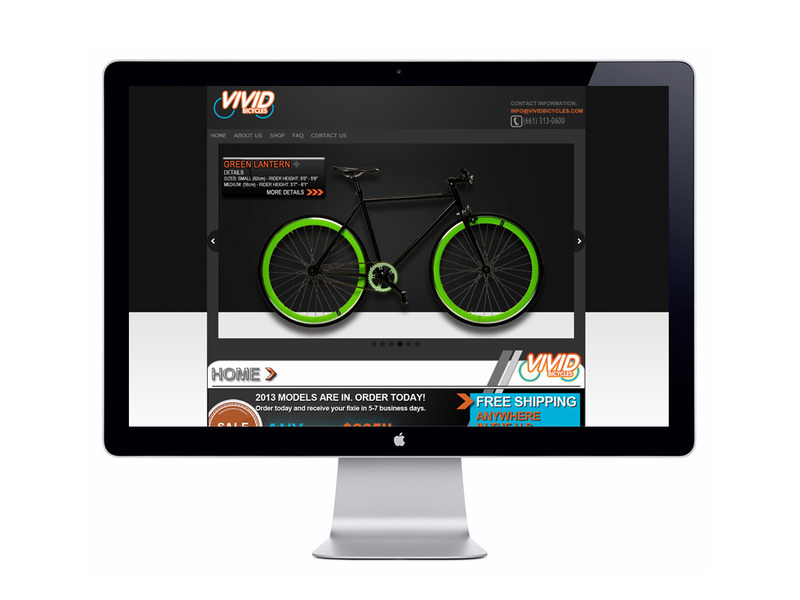 Vivid Bicycles was a brand new start up business in 2012. Their project goals was to set up a basic e-commerce site so that their customers would have the option to purchase their fixed gear bicycles online and have it shipped direct. The result was delivering an e-commerce site that was exactly what they were looking for. We helped them reach their goals of bringing the most attractive, high quality, and smooth riding fixed gear/single speed bicycles to the market at the lowest prices possible.